When it comes to content, we’ve got your back. Content creation that fits into your flow. Provide employees with great content, no matter your bandwidth. 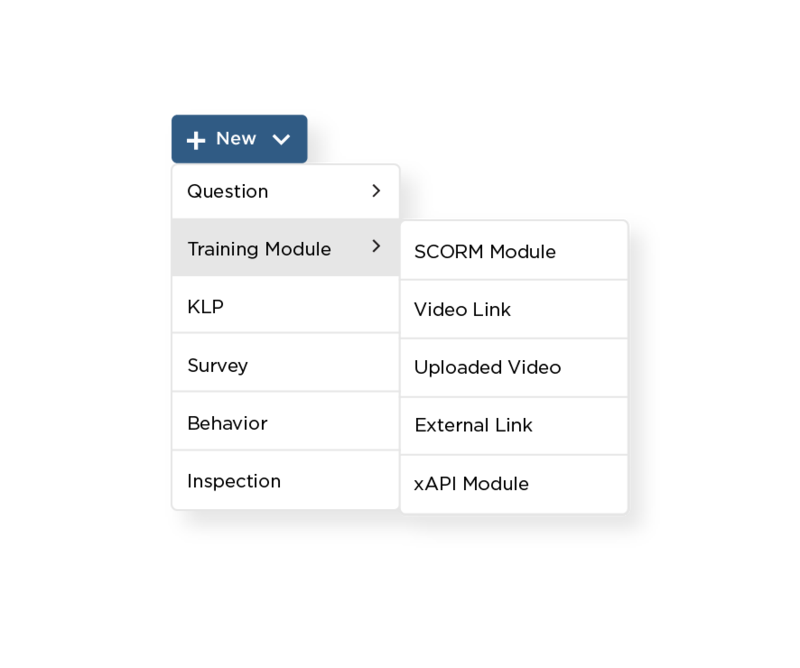 Axonify provides tools and services to help create results-focused microlearning content—from reusing existing SCORM or xAPI modules, to working with our team of Instructional Designers, to choosing from thousands of ready-to-go video microlearning topics in Axonify Exchange™. The right content is key to propelling your business forward. Get insights into how to build great content to get you the results you want. All roads lead to great content. Creating content in Axonify is simple and flexible. Use any combination of our tools and services to deliver engaging video and question-based content that drives results. Use your existing content in Axonify without worrying about compatibility. Our team is always there to help you create content that aligns with your goals. 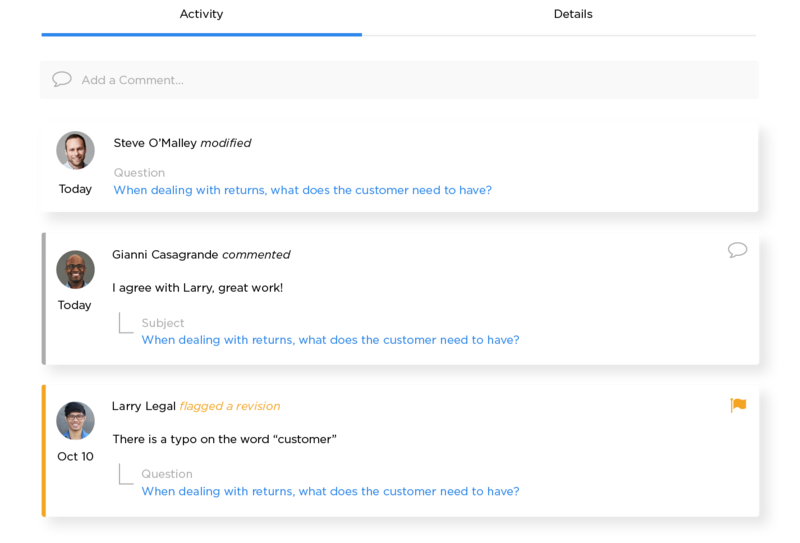 Our tools make it easy to manage content—and perform stakeholder reviews. We offer thousands of ‘ready to go’ video and micro-topics you can use. Deliver pre-existing content in almost any format. 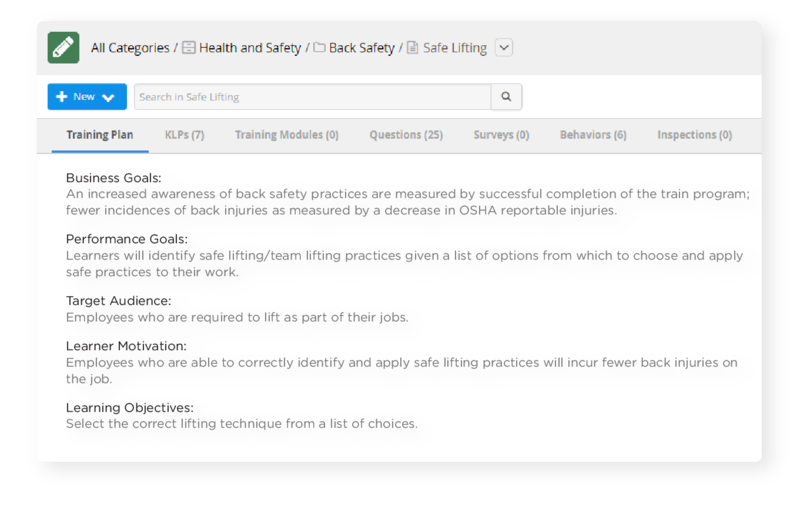 Reusing your tried-and-true content in the Axonify Microlearning Platform™ is easy and painless. Axonify supports a variety of media including video uploads, YouTube, Vimeo, xAPI, SCORM, third-party hyperlinks, images and text, allowing you to add or adapt your content in the platform with ease. Create content yourself, or recruit our team. If you’re looking for new content, you have the ability to create it in-house, or have our team of Instructional Designers do it for you. Want to do it yourself? We’ll teach you the ins-and-outs of building results-focused microlearning content, help you determine prioritized business goals and how to use our built-in tools. Want our help? We can do that too, and work with you along the way. Axonify’s approach to content is flexible and allows you to combine options to fit what’s best for your organization. Use the right tools to craft results-focused content. The Axonify platform comes with built-in tools that guide you through our proven “results-first” approach to developing content that impacts business. Creating content in Axonify is easy with streamlined workflows and powerful search, editing and publishing tools that will help you work smarter—and do more with fewer clicks. Managing content creation is simplified even further with built-in stakeholder reviews and content-change history to help you stay on top of things. If you don’t have the bandwidth to create your own content, we’ve got a solution that will get you up-and-running fast. The Axonify Exchange™ is a powerful library of video-based microlearning topics built to engage your workforce and drive results. 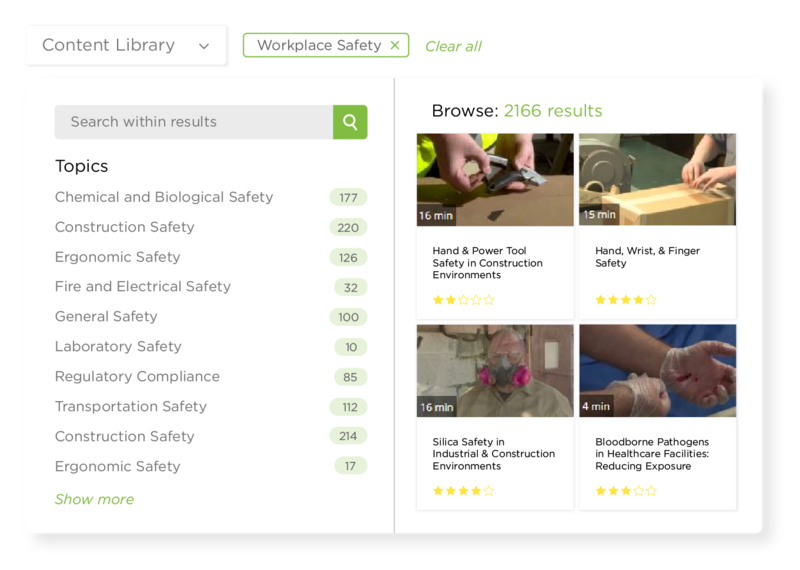 Our library offers 7,000+ topics that address today’s top business challenges, like compliance, cybersecurity, workplace safety, sales and more across a variety of industries. And every topic comes loaded with the right mix of video, reinforcement questions, behavior observation templates and even performance support resources. Hear customers’ first reactions to Content Exchange and how it will change the way they work. JD Dillon, Axonify’s Chief Learning Architect, talks you through the process of shifting your content to focus on microlearning. Why the right content is key for propelling your business forward. Learn about why video works to help employees learn and how to develop effective micro-video content that drives results. Questions about our content solutions? We’d love to help you out.